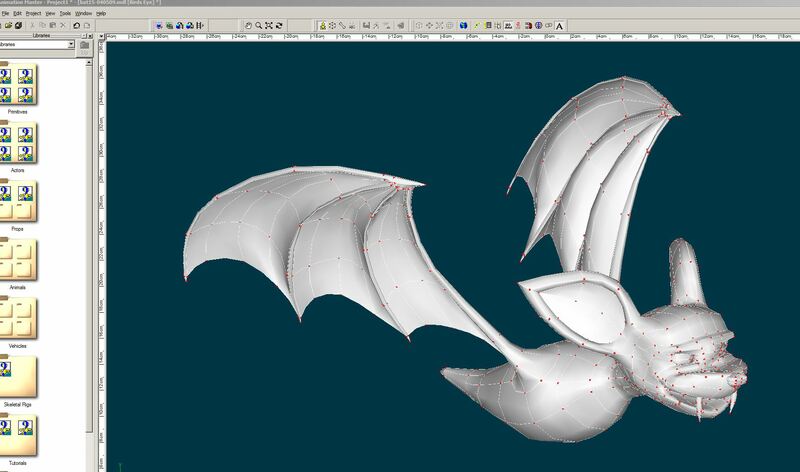 Patches are converted to polygonal meshes without any subdivision. This happens only for explicitly saved patches listed in the file; if your patch is stamped, it will come through. Faces are not created for implicit patches. 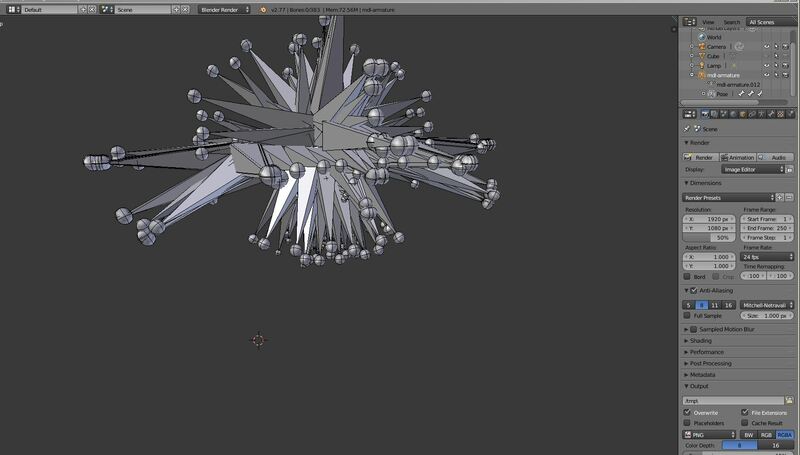 If you need to make a surface from your edge net, use Blender's excellent family of Fill tools. Hooks turn into regular vertices. A:M bones and nulls turn into Blender bones. CP attachments and weights are converted to vertex weights. For hooks, weights are copied from their hook bases. Stamps turn into UV layouts, using the / naming convention. 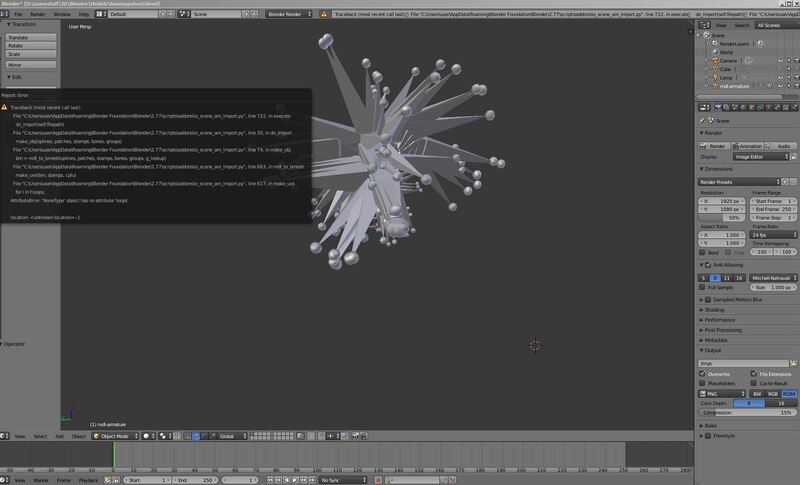 CP groups turn into vertex groups and are added to the groups that Blender uses for vertex weighting. The add-on also imports animations in .xform format, as exported by this plugin. The name of the file is io_scene_am_import-*.*.*.zip. 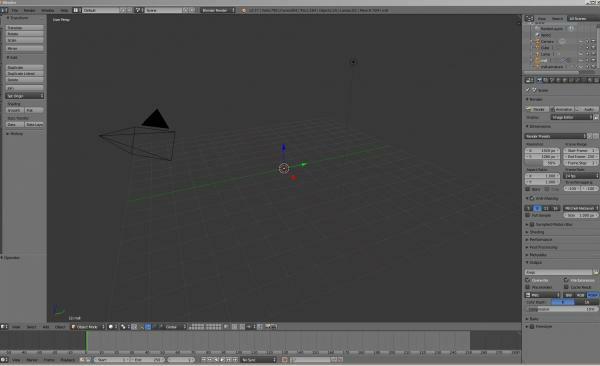 The add-on requires Blender 2.77a or later. Important: A note on bone orientation specifics. Blender and A:M use different rest-pose orientations for bones. In Blender it's +Y that looks "down" the bone, and in A:M it's +Z. Therefore, if you try to apply A:M animations unchanged to a normal-looking Blender armature, it'll come out wrong. The add-on supports both orientations for models and animations; the bone orientation import option can be set to either A:M-native or Blender-friendly. 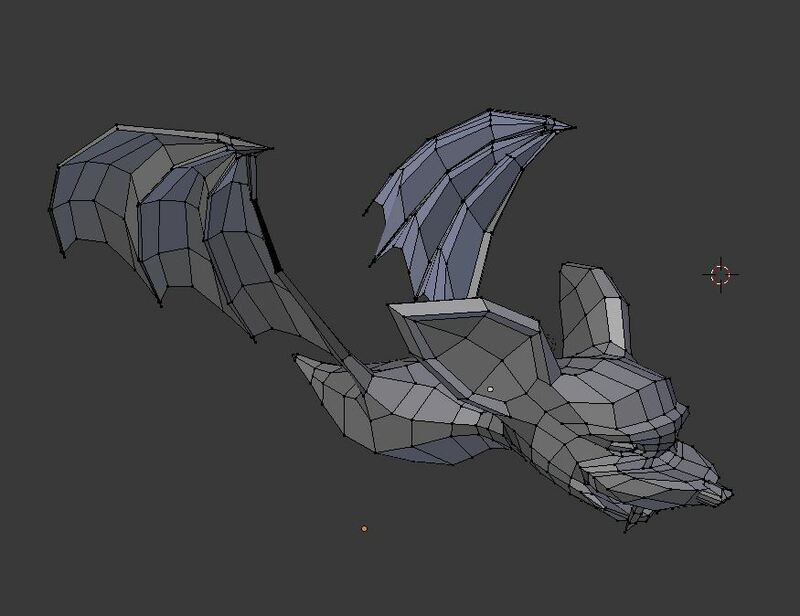 Whichever option you use for model import, stick with the same option for animation import to get correct results. To help you track which option was used during the model import, the add-on names the imported armature object and associated armature data either "mdl_armature_am" (for "A:M-native") or "mdl_armature_blen" (for "Blender-friendly"). You might want to rename the armature object, but you're unlikely to rename the armature data, because nobody ever bothers, so it's a simple hint that won't get lost. To import a .mdl file, click File | Import | Animation:Master model (.mdl). Set the time slider to the frame you want the sequence to start at. 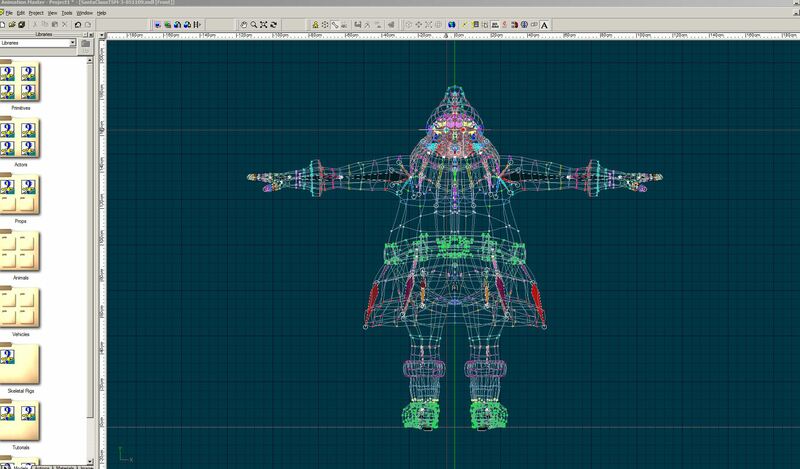 Select an armature that matches the animation you want to import, or a mesh associated with such an armature. This should preferably be part of a model imported with this add-on. Click File | Import | Bone Transformations as Animation (.xform). For details about the .xform format, see this topic. Enable the Import-Export: Animation:Master Import add-on. I know nothing of Blender but I shall be interested to hear of others' results. i suspect the unsubdivided patches will look a bit raw. A real model is bound to be detailed enough to look OK with subdivision turned on. 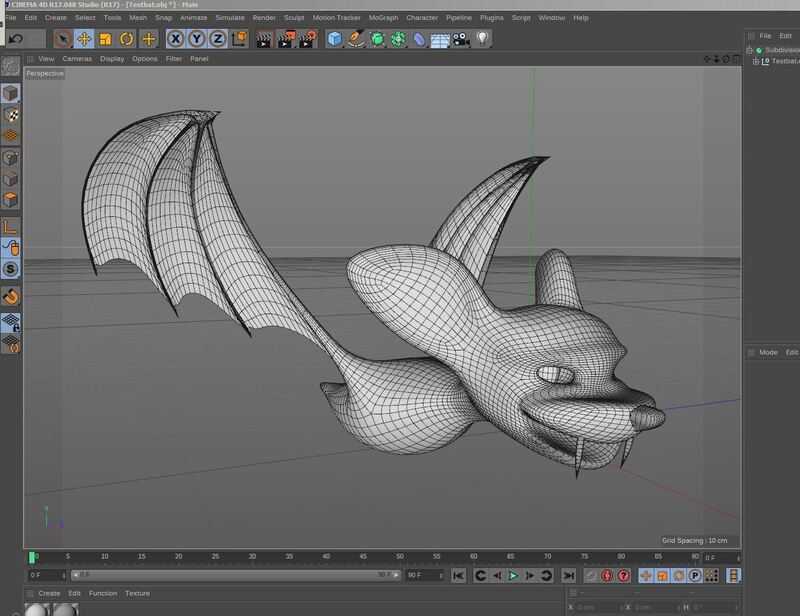 Even the keekat looks decent as a subdiv mesh. If you export a KeeKat model from a chor you could get the eyes properly in place. Very, very cool stuff . Thank you very much for your affords and that great import-plugin. That looks very promising indeed. I'll link it on the Hash page this evening and will test it then again . unlock some very interesting horizons. No need to have a detailed model, it is possible to have a close enough model of the original. For that use the modifier called "Smooth", apply a negative value. place it before your subdivision modifier. In edit mode, select "non manifold", invert the selection, and create a vertex group. In the "smooth" modifier, choose this vertex group. Play with the negativ value to found the good volum. Here a picture to show the result with "smooth modifier"
The script now skips hair definitions. I wasn't familiar with that markup until I tried and failed to import the stock wookie. The model loads correctly with this update. Some parsing improvements; now all the stock characters should import successfully. Funnily, robcat2075 helped fix one of the issues without even knowing it. In Shaggy.mdl the script was stumbling over the "é" in "Robert Holmén". Turns out .mdl files aren't Unicode, so the importer now assumes they are Windows-1252. Robert is a handy guy. Always fixing things without lifting a finger. And... note to self about .mdl files not being unicode. That might be something worth attending to in the next major update of the A:M file formatting. Thanks for the quick updates! I've put this very handy plugin on the A:M website under "Third Party Software". This is a really great addition. I tried your addon with this mdl of mine. It seemed to have imported something , but I can`t see a mesh. i am not blender fit. maybe some user bug? Arc-rotate is MMB by default, Ctrl+MMB dollies in and out. Wow! Very promising! 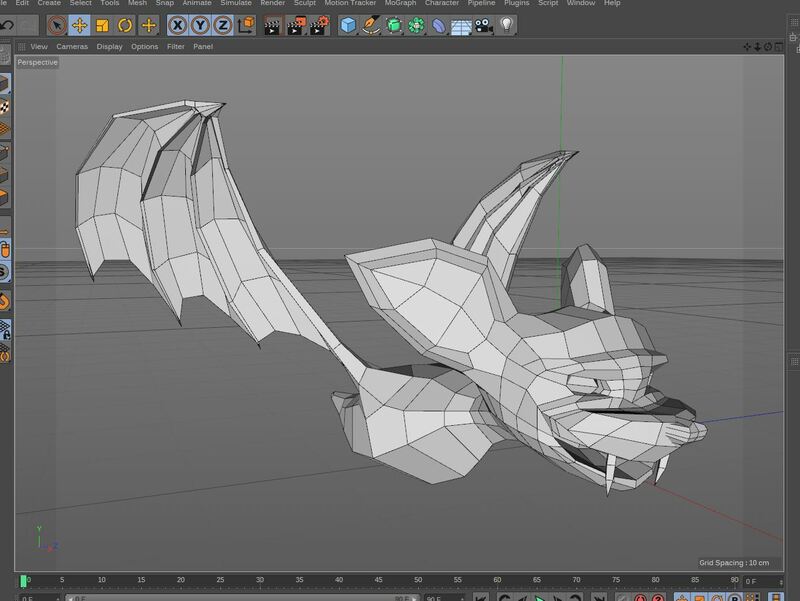 Seems I have to learn some blender. Fantastic addon. Thank you for your work! What does that guy look like in A:M? I don't like the lengths of those bones. Thanks, I'll look into these. I will guess that this is going to be the most straighforward way to get from A:M to Sketchfab. 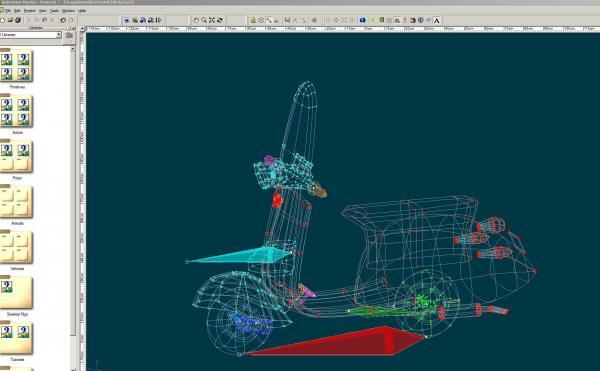 altho I see Nemyax's plugin will allow bones- but not constraints... so I wonder how he plans to allow for animation... perhaps via baking or using a baked file like BVH or MDD...? Yes, I meant from A:M to Sketchfab with animation. Should the animation pipeline through this plugin eventually support it. At this time the plan is to support only transformation animation curves. And yes, the transforms will need to be baked. It shouldn't be a problem to duplicate a chor and bake the animation in the copy. Or will it? Sketchfab accepts .blend files just fine. But for animation, it only supports FBX. This is very well done and very useful. Fixed the bug that jakerupert's Santa exhibited. I didn't get any tracebacks with either of the models, by the way. That should work well for game developers. ---this is great, thank you. What do you mean by tracebacks? The details in error popups that begin with "Traceback (most recent call last):". Have you retried it on the models you had problems with? The add-on now supports two kinds of bone orientation. Bone animation import is also available through a custom format (.xform). I've been meaning to add animation import for a long time, and initially I thought I could rely on A:M's built-in baking feature. But I was frustrated by A:M's baker, because it couldn't record constraint-driven transformations properly. Then I thought I'd write .blend files with baked animations straight out of A:M, but that's just too much trouble: the .blend format is a major pain to write unless you're Blender. So eventually I settled on a simple custom binary format and made an exporter for it. Nice progress. 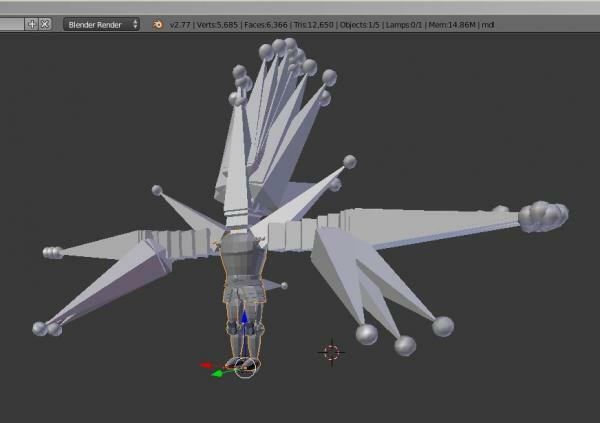 I remain impressed by your ability to build bridges between A:M and Blender. Yes- nice work nemyax! I would be all over this if I was not already spread thin in software I am trying to learn, I would be interested to know if A:M animation could successfully export over to SketchFab via A:M>BlenderXporter>Blender export FBX>import and play on SketchFab. Would be COOL! Can someone try? Another issue I wonder about- Now that the 'Poobah' is back... are 3rd party software discussions (importer/exporter/converters etc) going to be frowned upon like they once were and the slavish forum bylines dictate...? 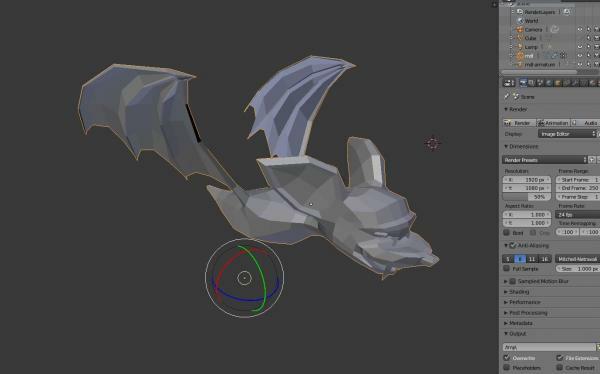 I would be interested to know if A:M animation could successfully export over to SketchFab via A:M>BlenderXporter>Blender export FBX>import and play on SketchFab. Would be COOL! Can someone try? 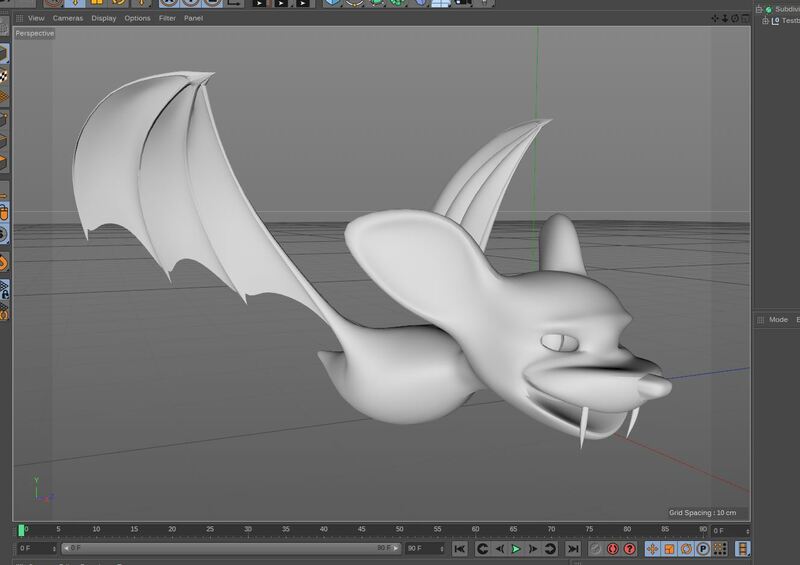 I'd have to recheck but I believe there is a direct export from Blender to Sketckfab. I would be interested to know if A:M animation could successfully export over to SketchFab via A:M>BlenderXporter>Blender export FBX>import and play on SketchFab. Barring bugs in the .xform exporter, I can't see why not! I tend to sigh deeply whenever a question like this is asked. People should know better but they don't. Martin can speak for himself... has never shied away from that.... but intelligent discussions have always been welcome. For proof of that we need only look at the discussions that are recorded here in the forum. It is the condescending attitudes, misinformation, personal attacks and disrespect that tend to torpedo those discussions. Inevitably someone sees an opportunity to air a personal grievance, demand new features or press an agenda. The secret to posting any topic (unless you're Martin who can post anything he wants) is to consider how A:M and A:M Users can benefit from the discussion. Thanks for addressing that rather eloquently, Sarge. I generally just refrain- 'times were' we could'nt even mention other packages... but today A:M has newfound relevance as 'part of the team' of 3D packages and renderers available, and converters-exporters-importers and discussing workflows and discoveries is vital. You probably mean direct .blend import into Sketchfab. That's only for static geometry, unfortunately. and we are ANIMATORS, by gumm! SO- nemyax's new updated plug-in (as seen in post #32 of this thread)- would do animations from A:M to Blender to SketchFab? I'm cross posting with Matt so please see/answer his question above. I don't know enough about it to comment much. However, some basic animation is supported by Sketchfab although I can't speak to the current import/export processes's success. Support for animation itself even from FBX is relatively new in Sketchfab so I'm sure many improvements will be made. Thanks for this info. The feature set described on that page is more than enough. It looks like you can safely skip FBX if you take the A:M→.xform→Blender route. 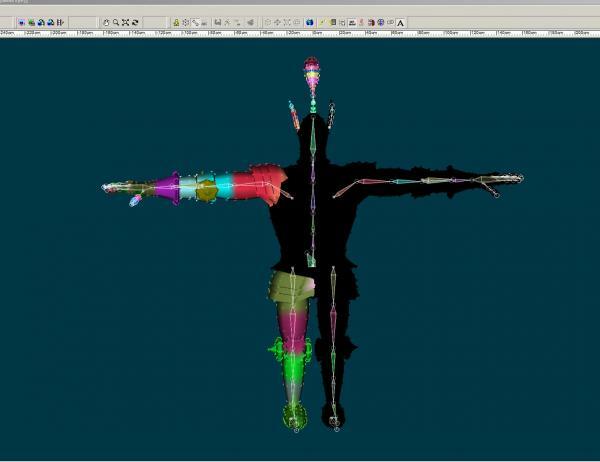 Okay nemyax- I am going thru this thread with a closer eye... in the 1st post you explain how to use it... importing models seems straightforward- but importing animations... do you import an A:M action file, choreography, pose? How do you get A:M actions to the .xform file format?